Enjoy live music, belly dancing, local food, games, raffle prizes and more to help fight multiple sclerosis! The Blue Room Bar and participating Cartlandia carts will be donating a portion of their proceeds of the day. Ninkasi will donate $1 for every pint of Ninkasi poured. 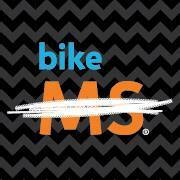 All funds raised go to the National MS Society, Oregon Chapter. Look for the “Eat Here” poster on participating carts. These vendors are donating a portion of their proceeds during the event. Click here for a full list of participating vendors! EAT at the Cartlandia carts displaying “Eat Here” posters. These vendors will be donating a portion of their proceeds of the day. DRINK Ninkasi in The Blue Room Bar. Ninkasi will donate $1 for every pint of Ninkasi poured. The Blue Room Bar will donate 10% of the day’s proceeds. All funds raised go to the National MS Society, Oregon Chapter. For more information about the entertainers and others who are volunteering their time, talents and hard-earned money to make the 2nd annual MS Bites a success, we encourage you to check our list of volunteers and sponsors! Fusing multiple styles of tribal belly dance with nontraditional belly dance music and popular modern artists such as Florence and the Machine and Rodrigo y Gabriella, 2 Little Muses creates moments of moving art that are fun, lighthearted and powerful. 2 Little Muses, Annie and Stephanie, have been dancing together for over 5 years. In a blend of folk, jazz and Americana, Olympia-based musician, Bradley Andrews, plays a finger-picking style with strong rhythms and clean melodies. His songs focus on the universal stories of human existence such as falling in love, the search for meaning, and growing old. On guitar or banjo, the allure of Dark Folk/Americana songstress, Caroline Hecht, creeps up on audiences like a strong drink, effortlessly enchanting. Nominated for “Best Vocalist”, “Best Songwriter”, and “Best Bluegrass Band” by Motif Magazine in 2013, her unique originals are vastly dynamic, drawing frequent comparisons to PJ Harvey, Cat Power, and Mazzy Star. Traveling the music highway from classic rock and folk favorites to their own wholehearted original tracks, acoustic duo the Rojacs takes listeners on a scenic route that evokes comfort, longing and the enduring timelessness of Americana. Our deep gratitude goes out to all those who are volunteering their time, talents and hard-earned money to make MS Bites a success! We encourage you to check our list of participating food carts, dancers, musicians, organizations and individuals who are sponsoring MS Bites this year.